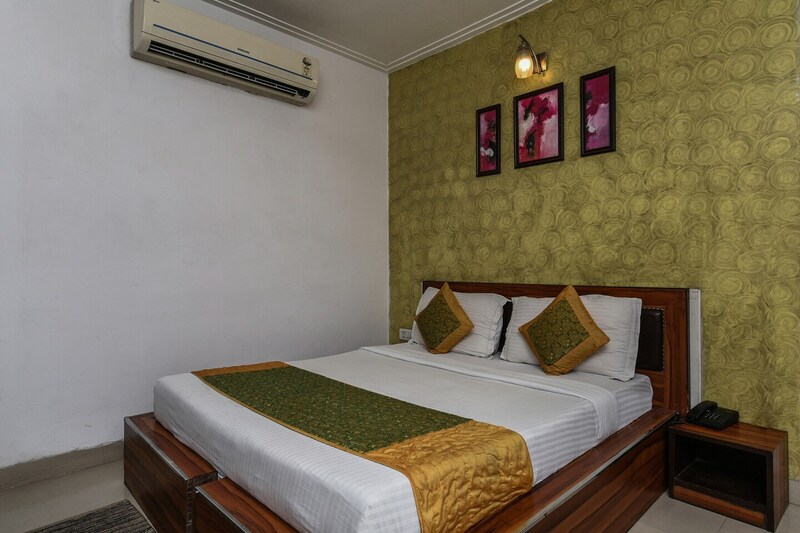 Hotel Om Paradise is a beautiful property located in Mahipalpur, Delhi. It is located close to the Mahipalpur Bus Stop and Indira Gandhi International Airport. Many key tourist places of Delhi such as Alai Minar, Qutub Minar and Alai Darwaza are situated close to the hotel. The rooms of the hotel have a contemporary vibe, and a seating area is provided in every room. The resort is equipped with amenities like Wi-Fi ,CCTV cameras, and geyser. The hotel is located near Resto 37, Cafe Pride - Pride Plaza Hotel, Oriental Spice - Pride Plaza Hotel, Honk - Pullman New Delhi Aerocity.